Christopher Griffin studied literature at Trinity College and University College in Dublin and in US colleges. He taught humanities for 28 years at Strayer University and Irish literature at George Washington University for eight years. 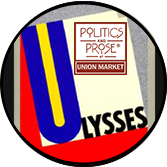 He has taught classes on various topics at Politics and Prose for over 25 years and will be teaching courses on Irish history and Joyce’s Portrait of the Artist and Ulysses in June 2019. He was a study leader on 15 Smithsonian Journeys. Say Nothing: A True Story of Murder and Memory in Northern Ireland begins with the abduction of a young Belfast widow and mother of ten. 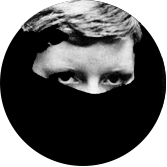 By examining the tangled web of this disappearance, Say Nothing gives a history of “the Troubles.” Protagonists and events include the Price sisters, Stephen Rea, Gerry Adams, Thatcher, Clinton, Boston tapes, ambushes, bombings, reprisals, internment, hunger strikes, sectarian assassinations, and trauma. Thursday, April 25, 6-8 p.m.
Joseph Hartman teaches political theory, constitutional law and American government in the Department of Government at Georgetown University. Prior to his time in the academy he spent more than a decade as a litigation attorney in private practice with a large law firm in Washington, D.C. He earned his Ph.D. in Government from Georgetown in 2015 (where he also served as the Interim Director of the Tocqueville Forum on the Roots of American Democracy). He holds a J.D. from the University of Chicago Law School (1999) and a B.A. 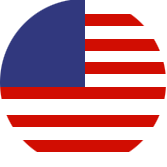 in American Government from the University of Virginia (1996). His academic and intellectual interests focus on the relationship between political thought and theology in the Western tradition and contemporary issues relating to public and constitutional law. David B. Johnson is a professor of philosophy at Marymount University, and former writing professor at American and GW Universities. He earned his PhD in Cultural Studies at George Mason University in 2011, and writes primarily about ethics and political theory. He has two sons and 4 grandchildren, has been enjoying life with his girlfriend, E. Foster Pacine, and lives in Clifton VA. 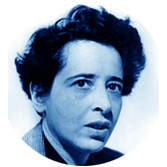 In this course, students will engage two works by Arendt, Responsibility and Judgement and The Portable Hannah Arendt as well as essays by Jacques Ranciere and Bonnie Honig in an effort to make some sense of things in dark times. Four Thursdays: May 2 ,9, 16, 23, 6:30-8:30 p.m. This is another series of classes in continuing the series on the Middle East and North Africa (MENA) to explore the fascinating literature by authors from differing communities writing about the anxiety and alienation of migration – forced or voluntary – both come with a high price of leaving one’s home, family and community…the worry or threat of losing one’s identity and culture is at stake. Six Fridays: March 22, April 5, 26, May 10, 24 and June 7 – Time: 1 p.m. to 3 p.m. 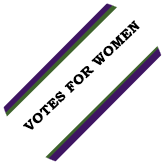 In 1920, the Nineteenth Amendment, enfranchising women as voters, passed by one vote, after a 70+ year long struggle. There were three generations of leadership and continual conflicts follow by schisms over goals, tactics, priorities and racial inclusion. It's remarkable that a fragile coalition of political feminists, social justice reformers, anti lynching activists and random radicals held together long enough to succeed. One Saturday June 29, 1-3PM. Christopher Griffin studied literature at Trinity College and University College in Dublin and in US colleges. He taught humanities for 28 years at Strayer University, Irish literature at George Washington University for eight years, and classes on various topics at Politics and Prose for over 25 years. He was a study leader on 15 Smithsonian Journeys. This course will look at Irish life in the past century or so, as told in scores of voices, both famous and unknown. 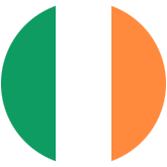 Using texts from 1916 to the present in our anthology, Ireland: The Autobiography: One Hundred Years of Irish Life, Told by Its People, we will hear diverse voices tell their stories and eye-witness accounts of history. Four Fridays: June 7, 14, 21, 28, 2019, 3:30-5:30 pm. Brian Taylor is a scholar of US history who focuses on the Civil War era and is interested in issues of citizenship, race and national belonging. He earned his doctorate from Georgetown University in 2015, and since has taught at Georgetown and the University of Maryland, Baltimore County. His first book, tentatively titled Fighting for Citizenship, is in the production process at the University of North Carolina Press. His next project will focus on the Reno City neighborhood of Washington, DC, a community founded by enslaved men and women after the Civil War. He lives in Laurel, MD, with his wife Diane, son Steve, and three cats. The man who won the war, the man who lost the peace. 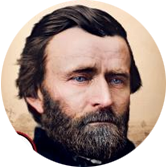 So runs the conventional wisdom about Ulysses S. Grant: his skill as a general brought down the Confederacy, but his inadequacies as a president allowed the change wrought by the Civil War to be undone. Ron Chernow’s Grant challenges this narrative, and in this class we will examine the Civil War era through an in-depth analysis of the life and legacy of one of its central figures. Six Wednesdays: July 10, 17, 24, 31, Aug 7, 14, 6-8PM. Elaine Showalter is Professor Emerita of English and Avalon Professor of the Humanities at Princeton University, where she taught courses in English and American fiction. She has written ten books, most recently The Civil Wars of Julia Ward Howe: A Biography ( Simon &Schuster,2016), and regularly reviews books for the New York Times Book Review, Washington Post, the Times Literary Supplement, and other newspapers and periodicals. Supriya Goswami has taught courses in children’s literature, Anglophone world literature, and nineteenth-century British literature and Empire at California State University, Sacramento, George Washington University and, more recently, at Georgetown University. She is the author of Colonial India in Children’s Literature (Routledge, 2012), which is the first book-length study to explore the intersections of British, Anglo-Indian, and Bengali children’s literature and defining historical moments in colonial India. She is currently working on her second book, Colonial Wars in Children’s Literature. She has also published in such scholarly journals as the Children’s Literature Association Quarterly, South Asian Review, and Wasafiri. 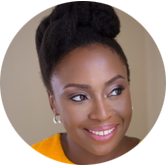 Whether she is writing about the Biafran War or about the immigrant experience in the United States, Nigerian novelist Chimamanda Ngozi Adichie, who counts Beyonce, Oprah, and Hillary Clinton among her fans, creates richly textured and layered narratives which are compelling to read. In this class, we will delve into two of Adichie’s bestselling and award-winning novels: Half of a Yellow Sun and Americanah. NOTE: April 8th date is cancelled. Two Mondays: 22, 29, 11 a.m. - 1:00 p.m. First class is April 22, second April 29 and adding third date of Thursday, May 2, 11 a.m. - 1:00 p.m.
Helen Hooper, a fiction writer, was a Stegner Fellow at Stanford University. She has published stories in American Short Fiction, The Common, The Hopkins Review, Bellevue Literary Review and elsewhere. She was MacDowell Colony fellow, a Kenyon Review Peter Taylor fellow and holds an MFA from Warren Wilson College and a BA from Johns Hopkins. She has taught literature and creative writing at Stanford and other universities and at the middle and high school levels. She is now writing a novel. Curl up with Anna Karenina this winter and then join us to sort out what Tolstoy had to say about women, men, motherhood, marriage, city life, country life, happiness and morality. 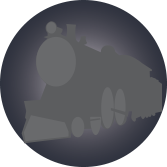 And trains! 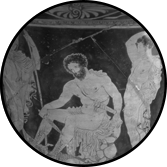 Six Wednesdays: Feb 27, March 13, 27, April 10, 24, May 8, 7:00 to 8:30 p.m.
Virginia Newmyer has lectured frequently for the Smithsonian Institution in Washington and in Great Britain on a wide variety of topics in British history and literature. She also teaches OLLI courses at American University, as well as at Florida Atlantic University in Boca Raton and Jupiter, Florida. Dr. Susan Willens, emerita professor of English at George Washington University, also teaches at the Smithsonian Resident Associates Program, the Osher Lifelong Learning Institute, and other literature classes. For more than 10 years, Virginia and Susan have been holding classes at Politics and Prose that examine the threads that join British fiction and history. In the last days of the Victorian era, writers reached out to new readers on new subjects. With illustrated lectures and discussions, this course will explore some of these daring works of fantastic and speculative fiction along with the historical transformations that inspired them. Five monthly meetings will focus on the events and the stories that fascinated this important period. The class will have 3 sections, each meeting once a month. 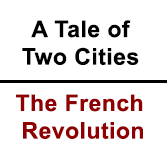 Tuesdays (1901-1): January 8, February 12, March 12, April 9, May 7. Meets 1:00 to 3:00 p.m.
Wednesdays (1901-2): January 9, February 13, March 13, April 10, May 8. 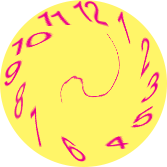 Meets 1:00 to 3:00 p.m.
Thursdays (1901-3): January 10, February 14, March 14, April 11, May 9. Meets 1:00 to 3:00 p.m.
Aaron Hamburger is the author of the short story collection The View From Stalin’s Head (winner of the Rome Prize in Literature), the novel Faith for Beginners (a Lambda Literary Award nominee), and the novel Nirvana is Here. His writing has appeared in The New York Times, The Washington Post, The Chicago Tribune, Poets & Writers, Tin House, Subtropics, Details, O, the Oprah Magazine, Boulevard, and The Village Voice. He has received fellowships from the Edward F. Albee Foundation and the Civitella Ranieri Foundation in Umbria, Italy, as well as residencies from Yaddo and Djerassi. He has also taught writing at Columbia University, NYU, the Stonecoast MFA Program, and George Washington University. 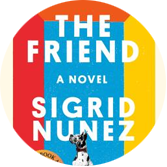 In this one-session meeting, we’ll do a deep dive into Sigrid Nunez's National Book Award winning book, The Friend, which explores themes of love and loss, offers a critique of the literary scene, and movingly portrays the bond between humans and pets. 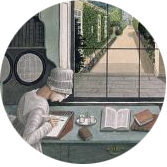 One Wednesday, May 29th, 6-8:00 p.m.
Melanie (Penny) Du Bois did her undergraduate and graduate work at Harvard, has lived in Europe, and taught literature at universities there and here. She has directed a reading group in Washington since 1989, and last taught at Politics and Prose in 2018. Her recent classes have been on the work of Coetzee, Penelope Fitzgerald, Tolstoy. 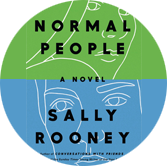 Should we think of Sally Rooney’s Normal People as a new, cool Love Story or as a profound study of emotion and identity within social groups? 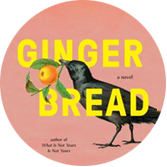 Readers on either side of that argument - only one of several raised by Rooney’s novel - will delight in her speed and understated, thought-provoking dialogue. Thursday, May 30, 6-8 p.m.
Sandra Beasley is the author of three poetry collections, including Count the Waves (W.W. Norton), as well as the memoir Don’t Kill the Birthday Girl: Tales from an Allergic Life (Crown). Honors for her work include an NEA Literature Fellowship; distinguished writer residencies at Wichita State University, Cornell College, Lenoir-Rhyne University, and the University of Mississippi; and four D.C. Commission on the Arts and Humanities Artist Fellowships. She is on the faculty of the University of Tampa’s low-residency MFA program, and periodically teaches at The American University. She is also the editor of Vinegar and Char: Verse from the Southern Foodways Alliance (University of Georgia Press). If you find yourself wanting to track small joys in difficult days, this book is for you. 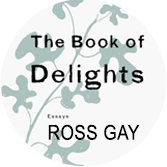 Award-winning poet Ross Gay has combined his signature love of nature with investigations into our contemporary American culture a series of vibrant, funny, lyric essays that span the course of a year. Monday, June 3, from 7 to 9 p.m.
Garrett Peck is an author, historian and tour guide in the DC area. His seventh and latest book is The Great War in America: World War I and Its Aftermath. He frequently leads tours through Politics & Prose, including the Jazz History Tour and Walt Whitman in Washington Tour. Garrett is currently working on a book about how Willa Cather composed Death Comes for the Archbishop, which he hopes to one day turn into a week-long tour of New Mexico. 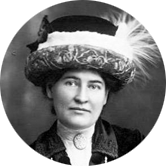 In this class, we explore three of Cather’s best works: My Ántonia (1918; the third and best of her “prairie trilogy”); the Pulitzer Prize-winning A Lost Lady (1923) , and her “best book” (her words), Death Comes for the Archbishop (1927). 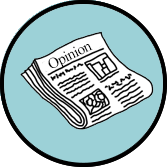 Three Mondays: May 6, 13, 20, 2-4 p.m.
Nicole Miller's prize-winning essays have appeared recently in New Letters and Arts & Letters magazines. Her fiction has been published twice in The Mays, edited by Jill Paton Walsh and Sebastian Faulks. She received an M.Phil. 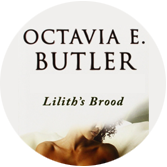 in Victorian Literature from Lincoln College, Oxford; a PhD in English at University College, London; and an MFA at Emerson College, Boston, where she held the Graduate Fellowship in Creative Writing. At The Oxford English Dictionary, she has served as a scholarly reader for British Dialects since 2002. She edits faculty manuscripts in Harvard’s English Department and teaches nineteenth and twentieth century British literature at Politics and Prose in Washington D.C.
Christopher Griffin studied literature at Trinity College and University College in Dublin and in US colleges. He taught humanities for 28 years at Strayer University, Irish literature at George Washington University for eight years, and classes on various topics (including Joyce’s fiction) at Politics and Prose for 25 years. He was a study leader on 15 Smithsonian Journeys. 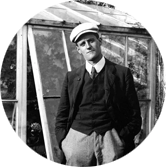 This course is an introduction to James Joyce’s Ulysses, which many consider the seminal novel of the 20th Century. If Ulysses has been on your bucket list but you never got around to reading this great novel, this course will make it easier for you. 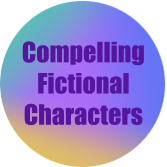 In our four sessions we will look at the overall structure of the novel and concentrate on the more accessible and humorous sections. Four consecutive Saturdays of June 1, 8, 15 (the day before Bloomsday), and 22, 2019, 2-4 pm. Tara Campbell (www.taracampbell.com) is a Kimbilio Fellow, a fiction editor at Barrelhouse, and an MFA candidate at American University. Prior publication credits include SmokeLong Quarterly, Masters Review, Jellyfish Review, Booth, and Strange Horizons. 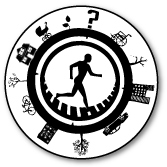 Her novel TreeVolution was published in 2016, followed in 2018 by her hybrid fiction/poetry collection Circe's Bicycle. Her third book, a short story collection called Midnight at the Organporium, will be released by Aqueduct Press in April 2019. 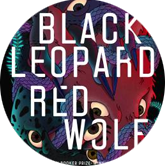 Marlon James’ new fantasy novel Black Leopard, Red Wolf (book one of a planned trilogy) is crossing genres to captivate the literary world with its mesmerizing blend of epic adventure and African mythology. Follow James' protagonist, Tracker the hunter, through his vivid, complex, and dangerous world in a facilitated discussion of the novel. Two Thursdays: July 11 and 18, 6-8PM. Leigha McReynolds received her PhD in English Literature from The George Washington University. Her dissertation was on science and the supernatural in 19th Century British Literature, but her current research focus is contemporary science fiction. She has published and presented on science fiction texts ranging from Ursula K. Le Guin’s short stories to Ernest Cline’s Ready Player One. Currently, Leigha is a professor in the writing program at The George Washington University where she uses science fiction to engage students across disciplines. Aaron Hamburger is the author of the short story collection The View From Stalin’s Head (winner of the Rome Prize in Literature), the novel Faith for Beginners (a Lambda Literary Award nominee), and the forthcoming novel Nirvana is Here. His writing has appeared in The New York Times, The Washington Post, The Chicago Tribune, Poets & Writers, Tin House, Subtropics, Details, O, the Oprah Magazine, Boulevard, and The Village Voice. He has received fellowships from the Edward F. Albee Foundation and the Civitella Ranieri Foundation in Umbria, Italy, as well as residencies from Yaddo and Djerassi. He has also taught writing at Columbia University, NYU, the Stonecoast MFA Program, and George Washington University. 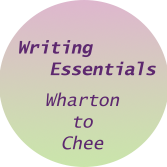 In this hands-on class, we’ll try out specific strategies to make your revision process more effective and efficient, so you can raise the level of any piece of writing you’re working on. Three Tuesdays: April 16, 23, 30, 6 - 8 p.m.
Joyce Winslow was OP ED/Commentary Editor of the nonprofit, nonpartisan RAND Corporation and currently writes, pitches and places OP EDs for such private clients as Ambassadors, CEOs, and a former U.S. Secretary of Defense with whom she wrote a book published by the Brookings Institution. She has written and placed some 70 OP EDs in the last few years in top-tier mainstream newspapers, including some she bylined. Tara Campbell (www.taracampbell.com) is a Kimbilio Fellow, a fiction editor at Barrelhouse, and an MFA candidate at American University. Prior publication credits include SmokeLong Quarterly, Masters Review, Jellyfish Review, Booth, and Strange Horizons. Her novel TreeVolution was published in 2016, followed in 2018 by her hybrid poetry/fiction collection Circe's Bicycle. Her third book, a short story collection called Midnight at the Organporium, will be released by Aqueduct Press in 2019. Did you know W.E.B. DuBois wrote science fiction? 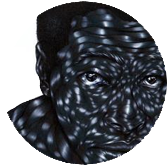 Have you ever wondered what would happen if we could really change places with other races—George S. Schuyler and Nalo Hopkinson have some ideas to share. Science fiction is not just about men in a lab, or robots in space--it's also about us, all of us, our families and our communities. 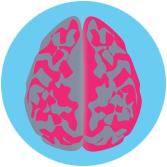 Developments in science and technology affect people of all genders, races, and nationalities, so we should all have a voice in exploring the changes we'll face. 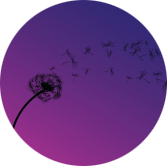 Join us to read diverse perspectives in science fiction, and to start writing your own worlds of the future. 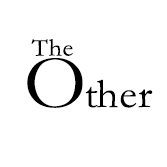 Four Tuesdays: June 4, 11, 18, 25, 6:30-8:30 p.m.
Marita Golden is a veteran teacher of writing and an acclaimed award-winning author of seventeen works of fiction and nonfiction. As a teacher of writing she has served as a member of the faculties of the MFA Graduate Creative Writing Programs at George Mason University and Virginia Commonwealth University and in the MA Creative Writing Program at John Hopkins University. Her new novel is The Wide Circumference of Love. 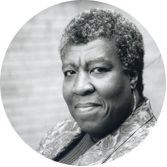 She is the recipient of many awards including the Writers for Writers Award presented by Barnes & Noble and Poets and Writers and the Fiction Award for her novel After awarded by the Black Caucus of the American Library Association. 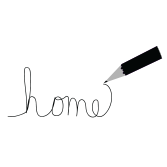 Home evokes a multitude of conflicts, whether we have left home, or never left home, or work to make a home. 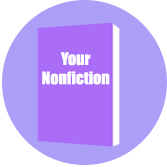 We will explore in our own fiction and/or creative nonfiction combining setting and memory and the layered emotions connected to home. Intended for writers working at all levels—we will write together via prompts in the workshop and start out fast with flash fiction/creative nonfiction, and with at-home assignments, move toward a full-length story or essay. Three Thursdays: July 25, August 1, 8, 6-8 p.m.
Do you struggle to keep certain core elements straight while trying to construct a compelling plot? Martin Walker understands. 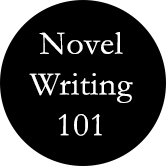 This class discusses the three essential supports every plot needs, what a writer needs to know to make them work, and the difference between knowing what you write and simply doing research. Martin’s new title in the Bruno, Chief of Police series is The Body in the Castle Well. One Saturday, June 8, at noon to 2 p.m.
Dr. Annie Finch is an award-winning poet, writer, speaker, performer, and teaching artist. Her books include Calendars, Spells, A Poet’s Craft, and the forthcoming The Witch in You: Five Directions to Your Inner Goddess. Annie’s poetry has appeared onstage at Carnegie Hall and in The Penguin Anthology of Twentieth-Century American Poetry, and her book Among the Goddesses received the Sarasvati Award from the Association for the Study of Women and Mythology. After earning a Ph.D. from Stanford University, Annie taught for 25 years at numerous universities and writing conferences and now travels to speak and teach across the country and internationally. She has offered her “Five Directions Workshops,” a transformational path for realizing psychological and spiritual growth through rhythmic language, most recently at Haystack School of Crafts and the Garrison Institute. Acclaimed poet, spiritual writer, and feminist Annie Finch offers an exciting exploration of the mysteries and delights of female-centered spirituality. Four Thursdays, June 6, 13, 20, 27 from 3:00 to 5:00 p.m.
Sandra Beasley is the author of three poetry collections, including Count the Waves (W.W. Norton), as well as the memoir Don’t Kill the Birthday Girl: Tales from an Allergic Life (Crown). Honors for her work include an NEA Literature Fellowship; distinguished writer residencies at Wichita State University, Cornell College, Lenoir-Rhyne University, and the University of Mississippi; and three D.C. Commission on the Arts and Humanities Artist Fellowships. She is on the faculty of the University of Tampa’s low-residency MFA program, and periodically teaches at The American University. She is also the editor of Vinegar and Char: Verse from the Southern Foodways Alliance (University of Georgia Press). 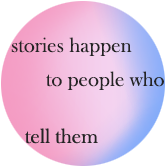 There is no one monolithic story of mental and chronic illness. 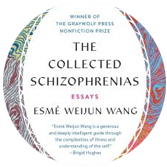 In this complex, capacious essay collection, Esmé Weijun Wang draws upon firsthand experience—of being diagnosed with PTSD, late-stage Lyme Disease, and schizoaffective disorder complicated by Cotard’s Delusion—while employing her skills as an accomplished novelist and a former scientific researcher at Stanford. Monday, June 24, from 7 to 9 p.m.
Howard Norman received the Lannan Prize in fiction. He is the author of eight novels and three memoirs, and a number of books for children. His new novel, The Ghost Clause, which is set in Vermont, will be published in July, 2019. 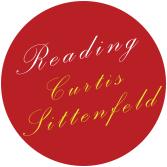 He has taught for thirty years in the MFA program at the University of Maryland. He is on the faculty of the Napa Valley Literary Conference and the Squaw Valley Literary Conference. He is at work on a memoir, When News Filtered to the Angels, They Were Overwhelmed By Their Loneliness, which is about a friendship with the painter Jake Berthot. This is a traditional writing workshop dedicated to the reading and discussion of individual writer's memoirs, whether just begun or at a more advanced stage. 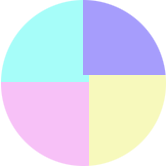 During each meeting we will discuss in detail two or three (depending on how the conversation proceeds) memoirs-in-progress. 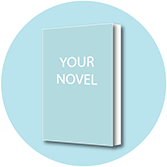 Each writer will hand in no more than ten pages of her/his memoir, along with a cover letter describing the project. Four Saturdays: April 20, 27, May 4, 11, 4:00 to 6:00 p.m.
Annie Finch is the author or editor of six books of poetry, most recently Spells: New and Selected Poems. Her poetry has been performed at Carnegie Hall and the Metropolitan Museum of Art, installed in the Cathedral of St. John the Divine, and published in Poetry, Paris Review, The New York Times, and The Penguin Book of Twentieth-Century American Poetry. 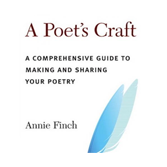 Her books for poets and poetry lovers include A Poet's Craft: A Comprehensive Guide to Making and Sharing Your Poetry, Measure for Measure: An Anthology of Poetic Meters, An Exaltation of Forms: Contemporary Poets Celebrate the Diversity of Their Art, and The Body of Poetry. Finch holds a BA from Yale and a Ph.D from Stanford, has taught and lectured widely, and has received the Robert Fitzgerald Prosody Award for her lifetime contribution to the art and craft of versification. Join acclaimed poet, editor, and translator and beloved poetry teacher Annie Finch for a reading and writing journey through the pleasures and paradoxes of the sonnet form. No previous poetry writing experience necessary. Three Thursdays: May 2, 9, 16, 3:30 to 6 PM. Frank Ambrosio is Professor of Philosophy at Georgetown University. After studies in Italian language and literature in Florence, Italy, he completed his doctoral degree at Fordham University with a specialization in contemporary European Philosophy. 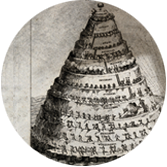 He is the founding Director, with Edward Maloney, of the Georgetown University “My Dante Project” a web based platform for personal and collaborative study of Dante’s Commedia. In 2014, he acted as lead instructor for the launch of an ongoing web-based course (MOOC) on Dante offered by EDX (http://dante.georgetown.edu) which currently has been utilized by over 20,000 students. He has received five separate awards from Georgetown University for excellence in teaching. He is the former Director of the Doctor of Liberal Studies Program, and in 2015, he received the Award for Faculty Achievement from the American Association of Graduate Liberal Studies Programs. 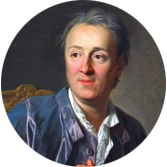 In October 2009, The Teaching Company released his course, "Philosophy, Religion and the Meaning of Life," (https://www.thegreatcourses.com/courses/philosophy-intellectual-history/philosophy-religion-and-the-meaning-of-life.html) a series of 36 half-hour video lectures which he created for the "Great Courses" series. At Georgetown, he teaches courses on Existentialism, Postmodernism, Hermeneutics, and Dante. The practice of the four foundations of mindfulness allows one to enter the present more fully. This is a course on mindfulness which involves studying, contemplating, understanding, and em-ploying techniques, called the Four Foundations of Mindfulness, which Gotama Buddha used over 2,500 years ago. 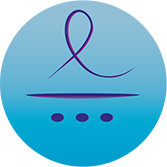 Four Wednesdays: June 5, 12, 19, and 26, 6:30 p.m. - 8:30 p.m.